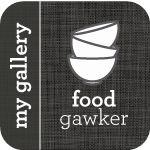 This week I’m going to discuss the basics of making your own salad dressings (or vinaigrettes, as they’re also called). For years my fridge would be filled with bottles of different dressings, only to go bad before I had finished them. Not only that, they can be full of additives and are typically expensive for what you get. Plus, as I’ve said before, fresh just tastes better. Making your own allows you to control what goes in your dressing so you can customize it and have your own unique ‘house dressing’. Mustard helps keep the oil and vinegar from separating. It also adds a subtle flavour. Balance sweet with a bit of acid. For example, if you add honey or maple syrup for sweetness, add a little bit more vinegar or lemon to make it less cloying. Likewise, adding a touch of sweetness (a small amount of sugar, honey or syrup) can take the harsh edge off the vinegar. Use the best quality ingredients you can. While you don’t have to spend a fortune on fancy oils and vinegars, use ones that taste good to you. They typically last a very long time so it’s a good investment for your pantry. Dressing your salad: Add dressing a bit at a time and toss well. You want it to just coat the greens but not weigh them down or make them soggy. Remember, you can always add a little bit more but you can’t take it away! If you do overdress the salad, add more greens. Vinaigrettes can also be used to drizzle over cooked meat and vegetables, to marinate meats such as chicken or as a dressing for sandwiches. Acid: There are many types of acid you can use such as lemon juice, lime juice, rice wine vinegar, white vinegar, white wine vinegar, cider vinegar, raspberry vinegar, red wine vinegar, champagne vinegar, sherry vinegar, fig vinegar, balsamic vinegar…. The list goes on. Let your imagination run wild! Oil: Use a neutral tasting oil as your main oil. Olive oil can work as long as it’s mild – you don’t want the dressing to taste overwhelmingly like olives. Other neutral oils such as canola, sunflower or safflower work very well and have a lighter taste (but unfortunately they are not lighter in calories). 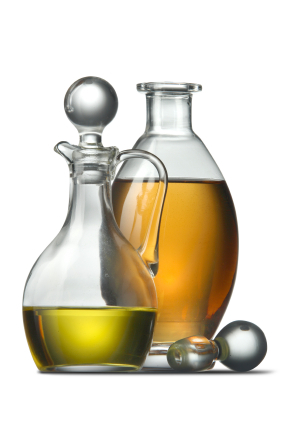 More ‘exotic’ oils such as avocado, walnut or sesame oil can be added in small quantities for flavouring to make a dressing that is unique and different. Mustard: Dijon style mustards usually work best. Avoid using bright yellow ‘hot dog’ mustard – it’s a bit too harsh tasting for a vinaigrette. I generally prefer a smooth mustard over a grainy style. Additions: While optional, adding a bit of minced garlic, diced shallot or finely chopped onion can give your dressing depth. Likewise, herbs and spices can help customize your dressing and make it more interesting. Add fruit juices such as orange or apple for a touch of sweetness. Optional ADDITIONS: Suggestions include finely minced fresh garlic, finely diced shallots, finely chopped herbs, a splash of fruit juice, 1/3 part honey or maple syrup, etc. Add ingredients to a small bowl and whisk together until combined. Whisk all ingredients together in a small bowl. Can be stored covered in the refrigerator for a few days. If the ingredients separate, whisk until it emulsifies again. This makes a great salad dressing, particularly for chicken. It can also be used as a glaze or dip for chicken, shrimp or pork (it’s really good with chicken fingers!). The proportions of oil and vinegar are a little different for this recipe. 3 to 4 Tablespoons neutral oil, such as canola or safflower. 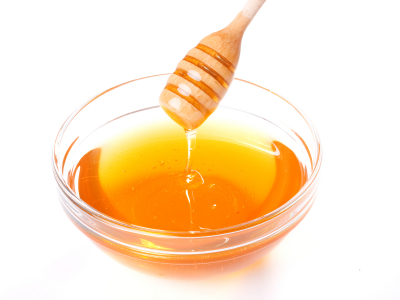 Tip: Use the same spoon to measure both oil and honey. If you measure the oil first the honey will not stick to the spoon. Combine ingredients in a small bowl and whisk until combined. Use as a dip or a dressing for your favourite salads. Thanks for the great info! I was just thinking I wanted to learn how to make my own salad dressing.